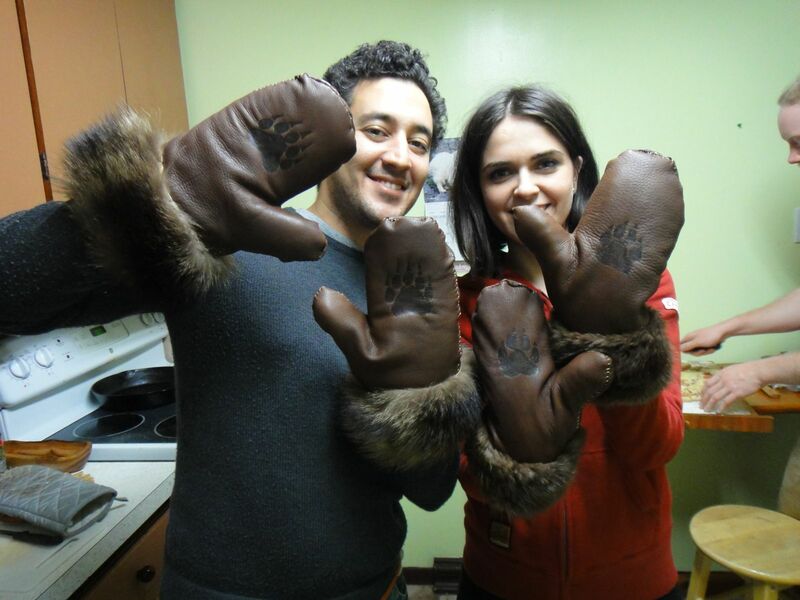 Join us to make a pair of deerskin over-mittens and felted wool inner mitts. You will start by hand-sewing a thick pair of 100% wool inner mittens from felted wool duffle (similar to an HBC blanket). You will be taught how to easily personalize your felted mittens by roving (‘needle felting’) designs into them. Next you will create a pair of 100% deerskin outer mitts, designed to cut the wind and protect your wool from damage whenever you’re working with your mitts. We have tested this combination rigorously on our winter treks and have found them the perfect bush mittens, but they are also stylish and at home in the city as well!